Although much has been written about the techniques of composition, not much has been written about how to teach music composition. The few published sources that address composition pedagogy focus on the difficulty in teaching creativity and on the techniques students should be taught during their undergraduate program. However, there is little written on how to put all of the information into a curriculum that spans across multiple semesters of an undergraduate degree. 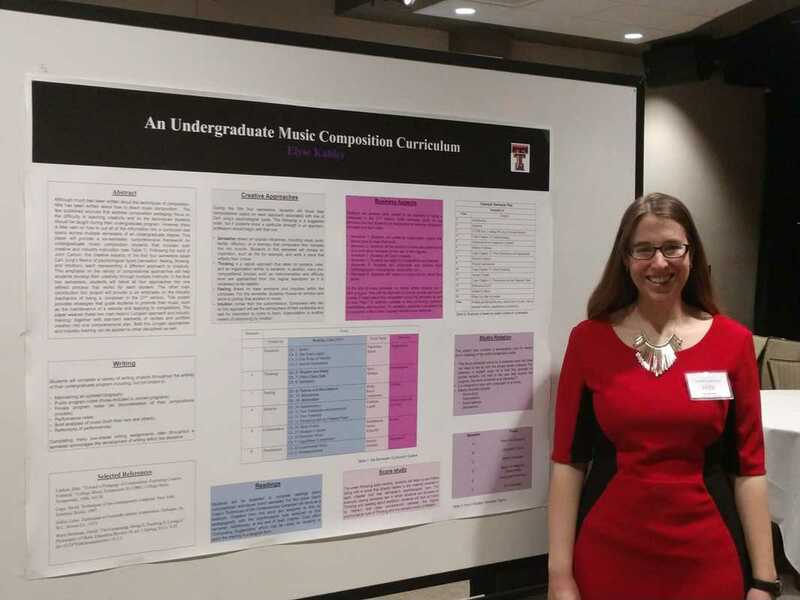 This paper will provide a six-semester, comprehensive framework for undergraduate music-composition students that includes both creative and industry instruction. ​Following the work of John Carbon, the creative aspects of the first four semesters adapt Carl Jung’s theory of psychological types (Sensation, Feeling, Thinking, and Intuition), each representing a different approach to creativity. This emphasis on the variety of compositional approaches will help students develop their creativity through multiple methods. In the final two semesters, students will blend all four approaches into one refined process that works for each student. The other main contribution this paper will provide is an emphasis on the industry mechanics of being a composer in the 21st century. This paper provides strategies that guide students to promote their music, such as the maintenance of a website and applying to competitions. The paper weaves these two main factors (Jungian approach and industry training) together with standard elements of recitals and portfolio creation into one comprehensive plan. View the research poster here.